Up” (2006) was a local hit. In 2009 she had her first number 1 single “A Night Like This”. Emerald’s first album “Deleted Scenes from the Cutting Room Floor” held the top album position for 30 weeks and become the highest selling album (Netherlands) in 2010. To date, over 3 million copies of her debut album are in the hands of fans. In 2010, was the recipient of the Emerald “Edison Award” for Best Female Artist. Success followed Emerald into the UK with her 2013 release “The Shocking Miss Emerald” which became her first number 1 UK album. Popular related genres to Caro Emerald include Hits Of 2011-2020, Hits Of The 2000's, Jazz, Hits Of The 1970's, Classic & Modern R&b and Big Band & Swing. 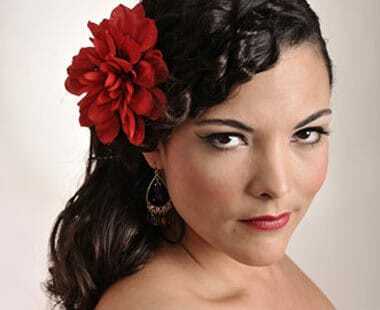 Caro Emerald MIDI Files, MIDI Karaoke MP3 professional backing tracks and Lyrics produced by Hit Trax. Click on any title to view song details like tempo, key, BPM, length and a preview Caro Emerald video. View and print Caro Emerald song lyrics which include MIDI Instrument track listing (* where available) all from the song page. Is your favourite Caro Emerald MIDI Karaoke File or MP3 backing track missing? If you need a new backing track that’s unavailable at the current time, click in the Contact button at the top of the page and request the backing track. If the song is current and in the charts, chances are we may produce it at normal catalogue prices. All Caro Emerald song files are AMCOS Licensed and royalty paid. © 2000 - 2019 Hit Trax (Australia, USA, UK, Canada and Europe).